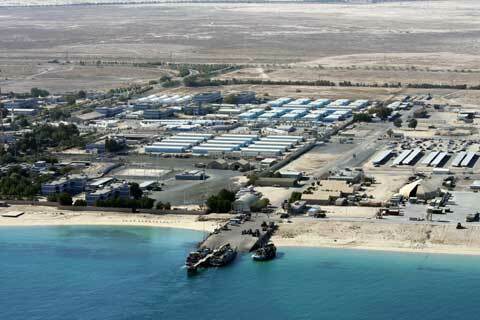 Situated in the South western coast of the country of Kuwait is the Kuwait Navy Base that’s otherwise known as Camp Patriot. During the time of Operation Enduring freedom—around the beginning of the 2st century—the base was home to more than 3,000 soldiers of the American-led Coalition that were fighting in Iraq. Camp Patriot boasts of a pier that is quite lengthy at 1,400 feet. Light vessels and cargo vessels dock here for loading and unloading. This pier has seen countless cargo containers with equipment used for logistics and perhaps even for the war unloading their equipment and supplies for the United States of America’s army use. The United States Marines and British Marines were supported well here by the arms and machineries that were brought in during the Operation Iraqi Freedom. 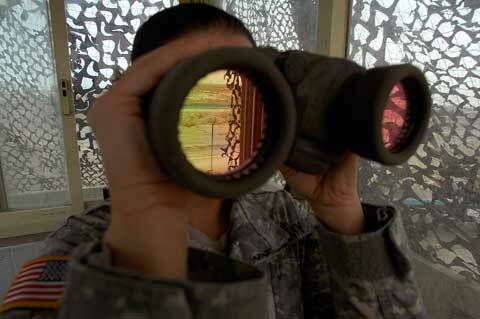 There were more than 3,000 joint-service members stationed at Camp Patriot around the year 2003. Today, the number of those stationed in this military camp or base has grown. 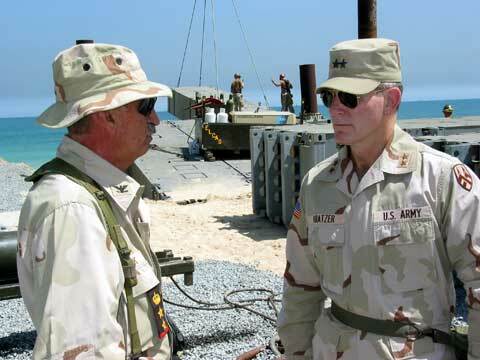 Back in 2003, many of those stationed here were supporting the Operations Enduring and Iraqi Freedom. Nowadays, Camp patriot serves as home base to many soldiers, marines, sailors, airmen and coast guardsmen who continue to work there in support of the Operation Iraqi Freedom. If you aren’t too familiar with this operation done in Iraq, that this is the one mission that sought to free the oppressed lesser Iraqis from the reign of Saddam Hussein might ring a bell. Aside from this, the mission or operation also sought to bring down the weapons of mass destruction said to be in Iraqi soil. 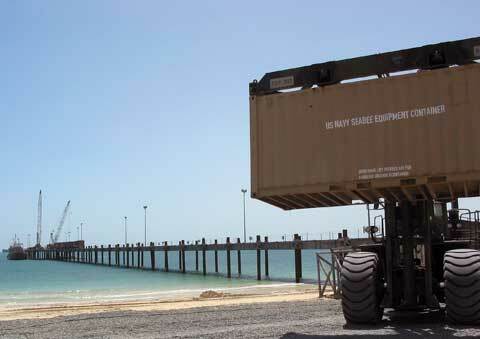 Camp Patriot had seen the construction of the System of Elevated Causeway of U.S. Navy or the ELCAS (M). Today the ELCAS (M) serves as an expeditionary pier that bridges the surf zone and thus provides a bridge between the beach and cargo vessels.